Note: Cross posted from nutzworld.com. 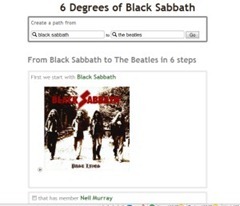 Find the path that connects two artists, or find the top connected artists or the strongest connected artists This is just fun! Nirvana at last. 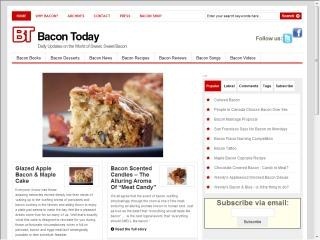 A site devoted to nothing but sweet, sweet bacon. My new personal favorite. If like most of us, you find yourself eating a lot of Ramen, this site is a lifesaver. You haven’t had ramen if all you have had is what’s available at your local grocery store. 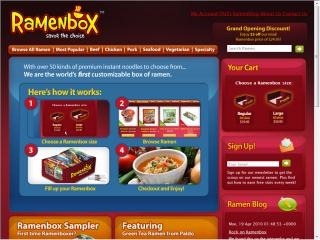 Ramenbox has over 50 kinds of premium instant noodles to choose from. Delivered to your door.